What started as a project to celebrate the 50th anniversary of Star Trek became a moving celebration of a life — and to some extent, our lives — and not just of a beloved fictional character. 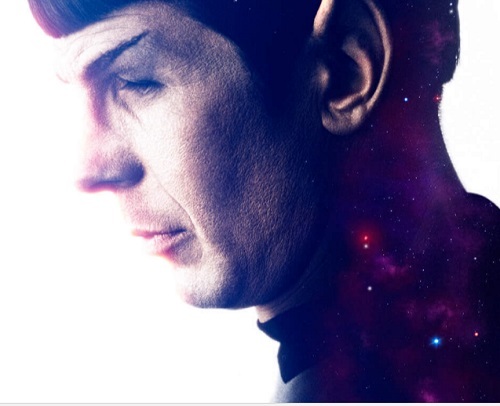 While Spock may loom large in our hearts, we never forgot that it was Leonard Nimoy who gave him life, and For the Love of Spock, written and directed by Nimoy’s son Adam, digs past the cultural icon to expose the flawed and wonderful human beneath. Along the way, Adam Nimoy’s documentary honors his father, celebrates fandom, and explores a sometimes troubled father/son relationship. That’s not to say Adam takes the focus off of his father, but by turning the camera on himself and his sister, he goes a long way toward that humanization. The film recounts Leonard Nimoy’s pre-Star Trek days, moving into the steps toward accidentally becoming an icon. And at first, the talking heads, including members of the new Trek cast and The Big Bang Theory’s Jim Parsons, reminisce about how large Spock loomed. But it morphs back around to the man, the idol that they felt lucky enough to end up calling a friend. Leonard Nimoy himself likely had a struggle to get there, too, and neither Adam nor his father (in archived recordings) shy away from that. Adam frames it as a love letter, of course, with a cool conceit of sitting down to read his father’s memoir, I Am Spock (a decades later reconsideration of his first book, I Am Not Spock). Leonard Nimoy’s voice from the audiobook recording takes over, so enough of this film really is in his own words. Some of it may be familiar territory for the film’s main audience, especially a couple of clips taken from Mind Meld, the documentary Leonard Nimoy and William Shatner did several years ago. But when other public figures talk about the impact of Spock, and then more talk about the impact of Leonard Nimoy, it’s hard not to be inspired. 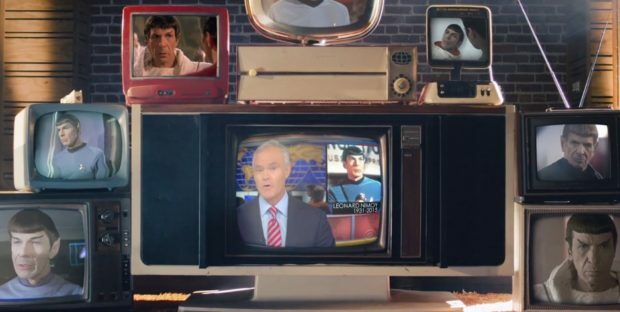 Many fans have complained that Paramount bobbled celebrating the 50th anniversary of Star Trek, and yes, the studio’s efforts have seemed strangely muted. But at this point, isn’t it more appropriate that the celebration really is in the hands of fans? For the Love of Spock was funded by Kickstarter — supported by the fans, made for the fans, by a man who could not have been a bigger fan of his father. We can argue whether or not Star Trek Beyond was a fitting celebration of the 50th; but the complaint is more that fans have been keeping the flame alive while the studio has kept things way too close to the vest. But that’s okay — because we have the love. 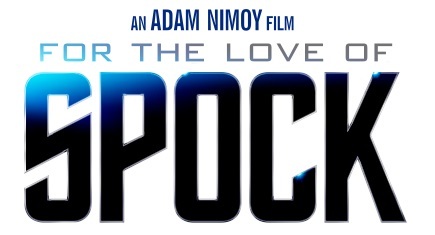 For the Love of Spock is currently in limited theatrical release, while available on iTunes, Vimeo, and select On Demand services.